Kenya Airways has re-introduced direct flights to Zanzibar from its Nairobi hub, as it opens up tourist attractions within the region. The airline will be flying five times every week between the two cities. The frequency of these flights is expected to increase to daily a month later. Kenya Airways’ Group Managing Director and Chief Executive Officer, Titus Naikuni said that the flights would contribute towards opening up the rich tourism attractions in Zanzibar, which is a scenic island in the Indian Ocean. “We have designed this service to conveniently connect Zanzibar with the rest of the world, through our hub in Nairobi. This fits well with our core purpose as an airline, of contributing towards sustainable development in Africa. Tourism is the backbone of the economy in Zanzibar and these direct flights will help in supporting the development of this important industry,” Dr Naikuni added. 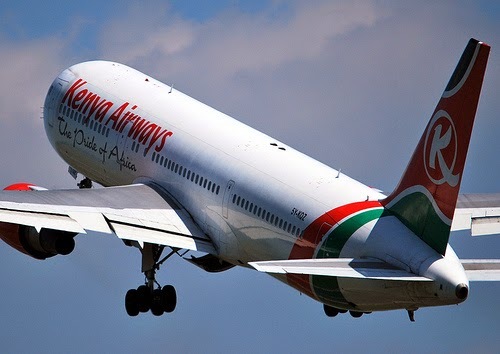 Kenya Airways’ flights depart from the Jomo Kenyatta International Airport in Nairobi every Sunday, Tuesday, Thursday, Friday and Saturday at 2230 hours, arriving at the Abeid Amani Karume International Airport in Zanzibar at 2345 hours. The return flights depart from the Abeid Amani Karume International Airport in Zanzibar every Sunday, Monday, Wednesday, Friday and Saturday at 0535 hours to arrive back at the Jomo Kenyatta International Airport in Nairobi at 0650 hours. The airline will fly the Embraer E190 aircrafts on this route. Kenya Airways reintroduced the direct flights to Zanzibar after a lull, having discontinued the service in 2011. Zanzibar is an archipelago consisting of two main Islands of Unguja (also referred to as Zanzibar Island), Pemba and about 51 other surrounding small islets. Zanzibar is a partner state in the United Republic of Tanzania.